File 2-0305 - Proposed beauty saloon [sic] & apt. bldg. on Pandora Ave. for Mrs. Betty Smith, E. half of Lot 400, Sec. W., Victoria Dist. Proposed beauty saloon [sic] & apt. bldg. on Pandora Ave. for Mrs. Betty Smith, E. half of Lot 400, Sec. W., Victoria Dist. 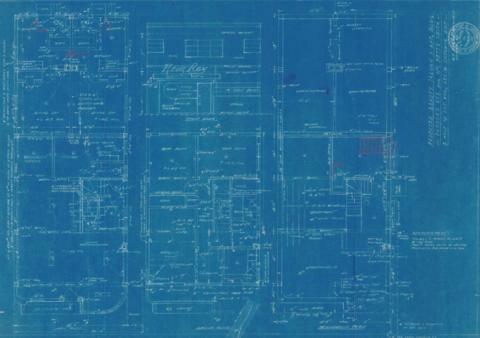 2 architectural drawings : blueprint ; 52 x 78 cm. Consists of architectural plans for building at 851 Pandora Avenue.